Taken as a whole, leaders demonstrate a wide array of skills and talent. While great leaders often exhibit some consistent marks, there’s simply no set script they follow. No inventory of essential traits all must possess to excel. Indeed, some great leaders demonstrate contradictory traits from each other. One is gregarious, another reserved. Once is upbeat and energetic, another taciturn and subdued. Many of the Church’s great leaders have been brilliant, their intelligence ranking them as a genius. Others, while being astute, could not be given that lofty epithet. Some had skills that enabled them to accomplish so much, their influence was felt for decades, even centuries, after. Pope Gregory I was of that category. Bruce Shelly says Gregory combined great executive ability with a warm sympathy for the needs of others. 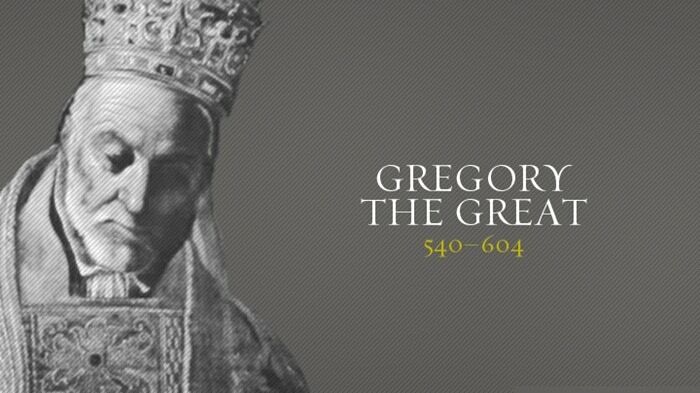 Gregory was such a good leader and man, history has given him the title “Gregory the Great.” His tenure as Pope laid the foundations for Medieval Christianity. Since religion played such a central role in European society, Gregory was one of the main architects of Medieval Europe. Born in 540 to a well-established Roman senatorial family, Gregory was groomed from a young age for civil service. But a career in politics at that time was an inordinately difficult proposition. The City of Rome and the lands it had once held hegemony over in the Italian peninsula were like a torn-up soccer ball kicked back and forth by one group after another. The Visigoths were replaced by the Byzantines, who were booted by the Lombards, who did their best to leave Italy a smoldering wreck. As Gregory’s father had been Prefect of Rome & Gregory had trained for govt service, the Eastern Emperor Justin II appointed Gregory to replace the prefect when he retired. He was 33. In all likelihood, it was Justin’s wife Sophia who made the appointment, since the Emperor had gone insane and she was ruling in his place. Not long after Gregory took the office, the Byzantine governor of the region and the reigning Pope, died. Like many young men who train for a position because it’s expected of them, Gregory found that worldly power didn’t appeal to him in the least. He much preferred the solitude of the monastery. So after a few years as prefect, he resigned. When his father passed, leaving Gregory as the heir to a wealthy estate, he used a good part of his fortune to found 7 monasteries, gave the rest to the poor, and turned his mansion into yet another monastery dedicated to St. Andrew; following the Benedictine order. Eschewing all trappings of worldly power that had attended his rank as prefect, Gregory devoted himself to a rigorous asceticism; his diet consisted solely in raw vegetables & fruit. He wore a hair-shirt, prayed most of the night, and applied himself to a diligent observance of his monastic duties. His asceticism was so extreme, it began to weaken his physical frame. Then, in 579, at the age of 39, Pope Pelagius II made Gregory a deacon in the Roman church. This was a position of tremendous influence because the 7 deacons were commissioned with administrative oversight of the Roman Church. Gregory was sent as a papal ambassador to Constantinople, which of course at that time was the new center of what was left of the Roman Empire. He returned to Rome 6 years later and was appointed as abbot over the St. Andrew monastery. Gregory was more than content to serve out what was left of his life in that role. But wider events hijacked his plans. Early in 590, Rome, already hammered by war and flood, found itself in the teeth of a new pestilence; the Black Death, Plague. Rome’s streets emptied as the carts piled higher with the dead. Even Pope Pelagius succumbed. The papal chair remained empty for half a year. Then, Gregory was elected as the new Pope. Instead of rejoicing in his selection, he fled, taking refuge in a nearby forest. Trackers were sent to find him and haul him back. Reluctantly, he allowed himself to be consecrated in the Fall of 590 with Constantinople’s approval. Gregory immediately called for several processions over the next 3 days to demonstrate the City’s repentance and make a plea for divine intervention. Not long after, the plague seemed to make a reversal. Slowly but surely, life made halting strides of returning to normal. But no sooner did hope rekindle than it was once again squashed under the hooves of the Lombard’s who ransacked Italy and laid siege to Rome. The Lombards shattered what little was left of the old Roman order. By the time they rode away, the only institution still standing was The Church. All civil govt had been swept off the board, while the Church was still lead by an organization staffed with capable men. Gregory threw himself into the task of restoring order and providing for the needs of people wherever that order was needed. The power & influence of the Medieval Papacy is in large part due to Gregory’s prolific work during this period of recovery. He was literally, everywhere, doing everything. By everywhere, I don’t mean geographically; I’m referring to the fields into which he stepped. Though never aspiring for the position of Pope, when once there, he USED the position to bring order out of the chaos of the previous years. He took a lead in civil affairs; a hand in economic & military matters. As the Lombards moved on Rome, Gregory had to address the defense of central Italy. He appointed a military governor, and arranged a truce. This positioned the Pope as the most important Italian representative to the Lombards. It also inserted the Church squarely into Italy’s political fortunes. That influence would only grow from that point forward, spreading till it touched most of Europe during the Middle Ages. Beginning with Gregory, the pope became an important political figure. The Church of Rome owned some 1800 sq miles of land in southern Italy. The administration of all this property had been simple when it was productive. But after the devastation left by the Lombards, the survivors were left without a means of support. The survival of thousands in whole cities and communities became the responsibility of Pope Gregory. A task he managed to pull off with aplomb. He engaged the role of being a leader & inspiration to church leaders everywhere. He wrote a manual on church leadership called the Pastoral Rule – exhorting bishops to be a good example of the truths they taught. The amount of work he accomplished is all the more remarkable when we’re confronted with his age and health. His previous and concurrent asceticism saw him often confined to bed. In 601 he wrote a friend, “For a long time, I have been unable to rise from my bed. I am tormented by the pains of gout; a kind of fire seems to pervade my whole body: to live is pain; and I look forward to death as the only remedy.” But Gregory kept such comments limited only to a few close confidants. It was also during Gregory’s term that the power & centrality of the Roman Papacy took another leap forward. This began in earnest with Leo the Great 150 yrs before Gregory’s time. Gregory moved the ball further down the field. 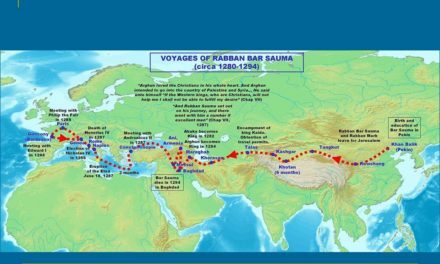 It all took place in a skirmish with the Eastern Patriarch, John IV. The Patriarch of Constantinople liked to refer to himself as the “universal bishop” and often did so in official correspondence. The title had been fixed to the Patriarchate by the Eastern Emperors Leo and Justinian, and confirmed in the Synod of Constantinople in 588. This irritated Gregory to no end. He condemned such approbations as the sinister outworking of a demonically-inspired pride. Gregory urged the Emperor to revoke such titles and refused further communiques with John till he renounce such exalted terms. Historians have debated whether Gregory was provoked by the lack of humility such titles evinced, or that it was only the Roman Pope who deserved them. The jury’s still out on the matter. It is true that there was a centuries long contest between Popes and Patriarchs over who was the rightful leader of the Christian Church & Faith. That debate led to the eventual E/W Rift manifest today in the Roman Catholic and Eastern Orthodox Churches. Gregory’s favored title ended up becoming a standard title for subsequent Popes. Though it seems rather forced when the man it’s attributed to stands decked out in his complete papal regalia; jewel encrusted stole, hat, crozier; the value all of which would buy a whole kingdom. It’s fascinating that while eschewing lofty titles, Gregory expanded the power of the Pope to the extent he did. So influential did the Popes become that they began to take on ever more elevated labels. Gregory was the first Pope to have been a monk. Moving from the monastery to basilica in no way changed his habit of personal austerity. He moved many fellow monks he knew ot be men of marked integrity into leadership positions. Earlier in Gregory’s life, he’d desired to replant the Roman Church in England as a missionary monk. Once he became Pope, he sent 40 brother Benedictine monks under the leadership of Augustine to accomplish the task. They did so, at Kent. It’s that work that provides the British-American Church with its connection back to the early church. A few moments ago I said Gregory may not have possessed the intellectual chops as some other church leaders. His talent lay far more in his administrative abilities. But that’s not to say Gregory was a theological slouch. Far from it. He took quite seriously his call to defend the faith. He looked to Jerome, Augustine and Ambrose as His primary theological influences. Though Gregory devised no new theological formulas, he played the role of amalgamator. He took the common faith of the day as expressed by the councils and creeds, & expanded it to incorporate some of the more popular beliefs, practices, even superstitions of the common people. This then became the Christianity of Medieval Europe. Gregory said The Fall affected all Adam’s descendants; it weakened but did not utterly destroy their moral and spiritual freedom. Once someone is moved by grace, she/he can cooperate with it to perform genuine good works. Gregory said through baptism, God forgives sin previously committed. But sins committed after baptism have to be atoned for by doing penance, which includes sincere repentance, confession, and doing good works. BUT, the believer could not know if she/he had done enough penance for sin until they arrived in heaven. In that needed atonement for sin, people had the potential help of the martyrs & saints, who could be invoked to plead for them with Christ. This belief arose long before Gregory, but he popularized and made it a central feature of medieval church practice. Gregory cast Jesus as a stern judge, the angels arrayed around Him as agents of divine retribution, while the saints, by virtue of their humanity, were more inclined to assist poor mortals. Gregory also encouraged the veneration of relics; the supposed remains of saints. Things like locks of hair, teeth, fingernails, clothing. All these were deemed to possess special power & efficacy to provide protection. If proper penance wasn’t provided before death, then sins could always be expunged in Purgatory after death, Gregory claimed. Gregory regarded the Mass as the supreme miracle of the Faith. In which the bread and wine were turned into the literal body and blood of Christ. Feeding on them imparted grace directly to the soul & nourished the streams of eternal life. The power of the Eucharist lies in its being understood as a present atoning sacrifice. The priest offers it for sins; not the sins of all people as Christ did at the Cross, but only for those who participate in the Mass. It has the same effect as penance, offsetting a certain amount of suffering generic penance would require. So, Masses could benefit the dead suffering in Purgatory since it would lessen their debt. Gregory, along with the earlier Popes Celestine I & Sixtus III, was one of the first church leaders to organize the Roman liturgy and its music. He established a center for the learning & singing of plainsong in Rome called the Schola Cantorum. Plainsong, or chant, as it’s more commonly called, was already in use since the time of Celestine I. Gregory’s work in finalizing the style of plainsong has been memorialized in the phrase Gregorian chant. But recent research has cast doubt on Gregory’s contribution to the tradition of plainsong in Church use.